home is where they send us...: 13 months. I can't believe Baby A is 13 months old. It seems like just yesterday we were celebrating her first birthday or heck, her actual day of birth! 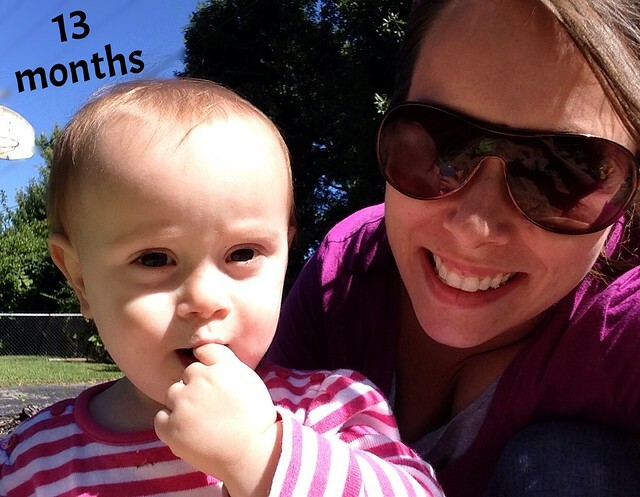 But, time flies...it always does...and now she's 13 months old. She's amazing. She is growing into a real person. She has her list of likes and dislikes and this adorable personality. She loves her family...I think Daddy is almost her favorite person. She enjoys playing with her sisters and brother. She loves cars and trucks, dolls, kitchen stuff and crayons. She enjoys playing in the yard. She will walk around the entire yard solo. 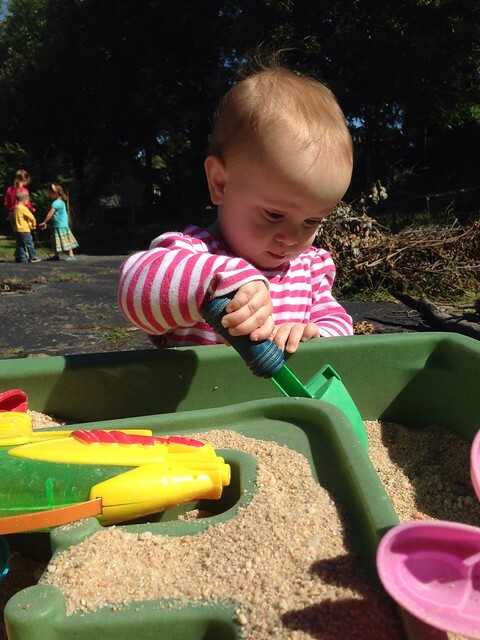 She plays in the sandbox, swings on the swings, enjoys the Cozy Coupe. She'll pick up a ball, babble and just sit and look at the world around her. It's amazing how content she is! She has a really great appetite these days! She loves Greek Yogurt, goldfish, spaghetti, cheese and fruit. Her special talents include being ridiculously cute...but, seriously...when we say "take off your clothes and get your pjs on" she lifts her shirt up to show her belly. She can grab her own shoes, find her own snack and color on a piece of paper. I cannot imagine life with our littlest A. I am just so blessed.